We look forward to your feedback and questions. Whether it’s a comment, suggestion or question we welcome all inquiries. 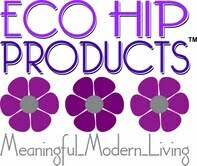 Please contact us at Email us at: info@ecohipproducts.com & we will get back to you within 2-3 business days. If you prefer to speak to us by telephone, simply drop us an email for our phone number. We have chosen not to post our phone number online to discourage solicitors from contacting our company. The Steep Stir is here!